Clear the area around the generator or leaves and dead grass. Check the air vents and keep them clean of twigs, leaves, and any other windborne debris. Change the oil, filters, and plugs in anticipation of cold weather. Stock up on supplies like preventative maintenance kits and oil. It’s best to perform your preventative maintenance now before the snow comes in and to make sure it’s clear of debris that can be frozen in place when a cold snap arrives. 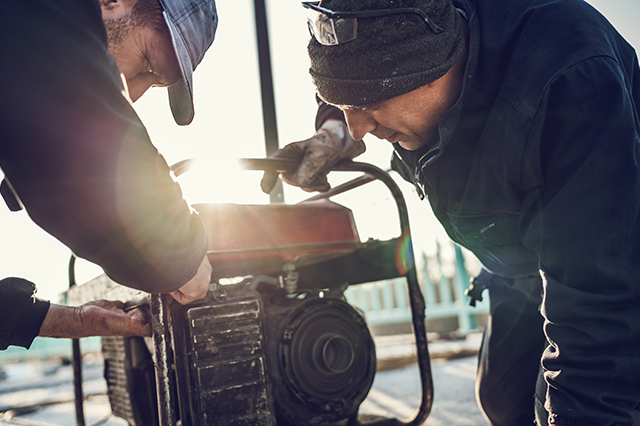 Standby generator winter maintenance is all about making sure your generator is in the best condition possible as well as helping it adapt to much colder temperatures. Here, there are a few steps you need to run through. Test run your standby generator to ensure it’s running effectively. Install a cold weather kit to ensure the battery and other components are kept warm enough to start up. Refill the propane tank if your generator runs on propane. Ensure you have backup supplies of fuel, fuel stabilizers, lubricants, batteries, coolant, and spare parts in the event of a failure. Clear the area around the generator of snow, brush snow off the cover and ensure vents are clear. Clear the pathway to your generator, so it’s easy to access in the event of a failure. Even if you’re not using the standby generator, run it for ten minutes to make sure it can operate correctly when needed. Clear the path from the inlet plug on the exterior of the home to the generator. If you’re using the standby generator, temporarily block the radiator to assist in warming it up. Keep a log of run durations and document any problems you might experience. The above tips can make it a lot easier to ensure your generator gets the care, repair, and replacements it deserves if severe weather events end up knocking it out. If you’ve made it on the other side of the winter weather without any worrisome experiences, it’s important to ensure that the cold, rain, snow, and wind haven’t left any lasting impact on its ability to perform. Change the oil and coolant. Make sure you have documented any instances of failure or malfunction so that you can address it during your next scheduled service. The heat of summer can bring its challenges when it comes to your standby generator, so it’s wise to start looking at spring and summer maintenance, too. There is plenty that you can do to ensure that your standby generator is kept as efficient as possible during the fall and to prepare it for winter. However, the best way to catch potential issues before they happen is to schedule a service and routine maintenance with a technician that’s qualified to work with your specific generator. Keep your technician’s contact details accessible, too. Teams like EmPower can respond to emergencies 24/7, 365 days a year so if your generator is knocked out, you can ensure someone will be there to fix it in no time. 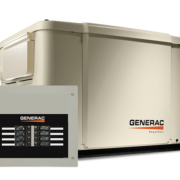 Cold and precipitation can both strain your standby generators to a degree they’re not fit to handle without a little care, meaning that power failures are much more likely. 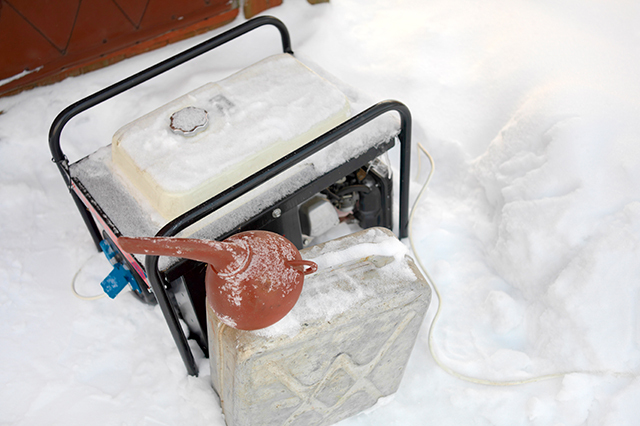 What’s more, thousands of generators are knocked out by ice storms each year. Following the tips above can ensure yours are protected against the elements and much more likely to make it through winter. Nothing compares with the scheduled service that teams like EmPower Generators provide, however. Don’t skip the professional care that a factory-trained and certified technician can provide. So contact us to get the professional assistance needed to keep your generators in good conditions and ready for tough weather! All The Tips You Need For Your Winter Generator Can Your Business Survive Without A Backup Power Supply?